An iBooks publishing label has reportedly discovered that Apple may take its iBookstore live in 18 countries as soon as Tuesday, which lines up perfectly with a special event at which the much-rumored 7.85-inch "iPad mini" is expected to debut. An Australia-based iBooks label notified AppleInsider early Tuesday that its iTunes Connect account, the backend system used by publishers to sell their books, listed 18 new countries as having a "pending" sales status, suggesting an iBookstore launch may be imminent in those areas. The newly-supported countries include Argentina, Bolivia, Brazil, Chile, Colombia, Costa Rica, Dominican Republic, Ecuador, El Salvador, Guatemala, Honduras, Mexico, New Zealand, Nicaragua, Panama, Paraguay, Peru and Venezuela. 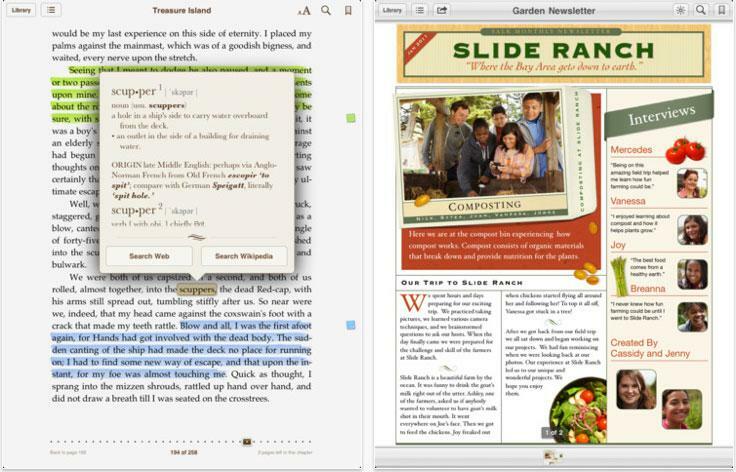 "The books aren't immediately available in the new areas," the publisher told AppleInsider. "iTunes Connect is showing their status as pending for contract reasons, although I'm quite certain they'll trigger to available during tomorrow's keynote. This is quite a big jump for iBooks." He went on to say that the new additions would bring the number of countries to support iBookstore sales up to 50. Apple is widely expected to launch a small format iPad at a special event on Tuesday. It was previously reported that iBooks would be a focus at the unveiling, along with the rumored tablet's capabilities in the classroom.